The city has earmarked $10 million to defend undocumented immigrants from deportation. We hear how that’s going to work, and get an overview of new state laws. And we get a visit from Santa Claus. 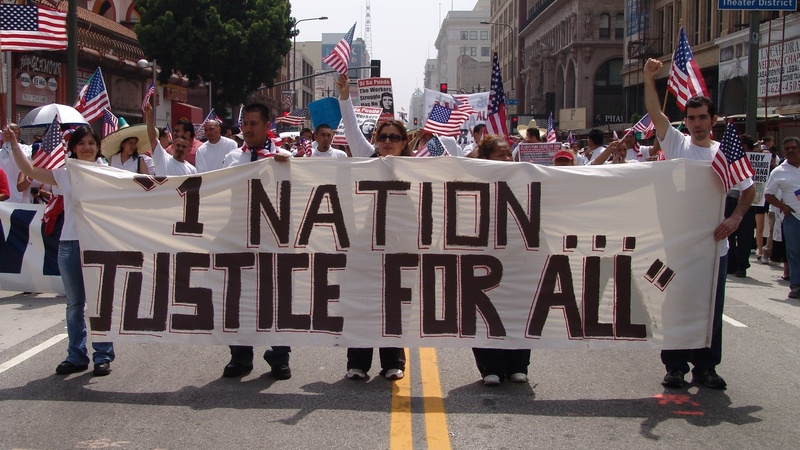 Photo courtesy of Jonathan McIntosh; Immigrant rights march for amnesty in downtown Los Angeles, California on May Day, 2006.